Western governments and media uniformly have portrayed Ukraine’s 2012-2014 Maidan movement as a purely democratic revolutionary movement. They have characterized Crimea’s reunification with Russia as an unprovoked annexation and, along with the war in Donbass, as part of a Russian ‘master plan’ to recreate the USSR and the war in Donbass. In this view, Ukraine’s crisis was of Russia’s making and the Ukrainian civil war is ‘Putin’s war.’ In reality, the Ukrainian crisis and civil war were driven by divisive international geopolitics and Ukrainian domestic identity politics, including: (1) the rift in geopolitics between Russia and the West and between ‘imagined’ Western and Eurasian civilizations and (2) between Galician and ‘Russian’ Ukraine. The former schisms were manifested in NATO and EU expansion and Russia’s efforts to resist them by counter-organizing Eurasia through the formation of the Eurasian Economic Union and other policies. By forcing a divided Ukraine to make a ‘civilizational choice,’ the geopolitical struggle exacerbated the ethnic, linguistic, cultural, historical, social and economic schisms between western and eastern. Simultaneously, the Maidan movement was seeded by the West’s ‘dual-use’ democracy-promotion and ‘color revolution’ political technologies. What the West seems to have failed to consider is that revolutionary regime transformations are blunt instruments, the consequences of which are difficult to control. Moreover, when they occur in multi-communal states, the first casualty is usually the country’s stateness or territorial integrity. Thus, the pro-democracy movement that these technologies created was hijacked on the Maidan by a coalition of nationalists, ultra-nationalists, and neofascists. 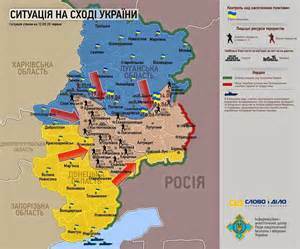 Russia’s actions in Ukraine were a defensive action intended to wrest victory form the jaws of a major geostrategic defeat foreshadowed by the West’s support for the neofascists’ violation of the 21 February 2014 agreement and illegal overthrow of Viktor Yanukovych. An anti-Russian Maidan Ukraine was destined to join the EU and, more importantly, NATO, and would have represented a major geostrategic defeat for Moscow. This defeat would be compounded by Russia’s loss of its base for the Black Sea Fleet and likely anti-Kiev, anti-NATO unrest and inter-ethnic conflict on the peninsula, sparking a no less dangerous Russian-Ukrainian/Western conflict than the present one. Thus, Russian President Vladimir Putin’s actions, while perhaps not the most optimal policy responses, were rational attempts to salvage something of Russia’s previous strategic position in Ukraine and the Black Sea region in Maidan’s wake rather than part of a ‘master plan’ made actionable by the Maidan revolt. Normatively speaking then, numerous parties are responsible for today’s still unresolved Ukrainian crisis: Washington, Brussels, Moscow, and Kiev. 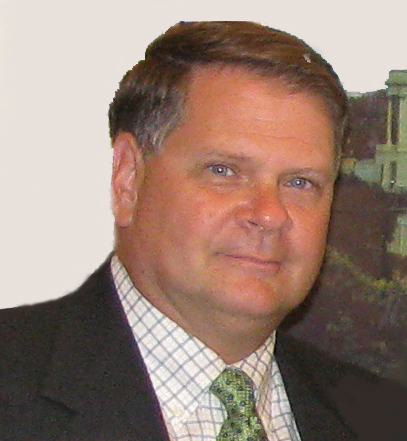 Analyst and Advisory Board Member, Geostrategic Forecasting Corp., Chicago,www.geostrategicforecasting.com. Dr. Hahn is author of three well-received books, Russia’s Islamic Threat (Yale University Press, 2007); Russia’s Revolution From Above, 1985-2000 (Transaction Publishers, 2002); and The ‘Caucasus Emirate’ Mujahedin: Global Jihadism in Russia’s North Caucasus and Beyond(McFarland Publishers, 2014). He has also published various think tank reports and numerous articles in academic journals and other English and Russian language media. He has taught at Boston, American, Stanford, San Jose State, and San Francisco State Universities and as a Fulbright Scholar at Saint Petersburg State University, Russia. Dr. Hahn has been a fellow at the Kennan Institute and the Hoover Institution and a Senior Associate at the CEnter for Strategic and International Studies.